11: Rand Airport Challenge. Please remember to book online at http://http://www.sapfa.co.za/index.php/component/competition/?view=pilot in order for us to adequately cater for the numbers. 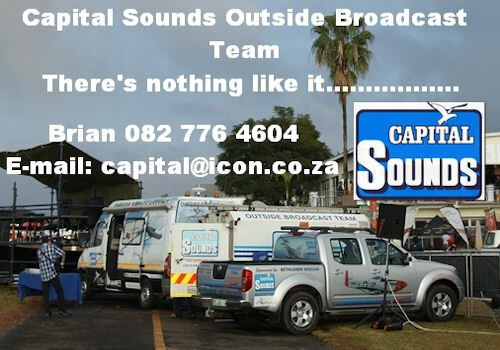 Contact: Contact Frank Eckard frank.eckard@mweb.co.za cell: 083 269 1516. The South African Airways Museum Society established in 1986 preserves South Africa's Civil Aviation Heritage at its premises at Rand Airport Germiston. On Saturday the museum added a Vickers Viking to its impressive statics displays that includes a Boeing 747 Classis and 747SP. ZS-DKH is indeed a historic aircraft. She started her service live in 1946 with British European Airways and was used in the 1948 Berlin Airlift. In September 1954 she was sold to Trek Airways. On 18th of December 1962 and was disassembled and transported by road to the old Baragwaneth Airfield. In January 1963 she was moved and placed atop the roof of the Caltex Garage owned by Victor Edward de Villiers and known as "Vic's Viking Garage" where she became a famous, if forlorn, landmark. On 5 March 1987, she was replaced by SAAF Avro Shackleton 1723 and donated to the SAA Museum Society. Her wings were removed and she was towed to the then Jan Smuts Airport where for thirty years she languished close to the run-up bay. On Sunday 22 January she arrived at the Museum thanks to generous sponsorship by Marlboro Crane Hire, Transcor Trucking and Africa Route Clearance Consultants. Her long delayed restoration to static display will now commence..
Southern Africa's largest independent regional airline, is joining the E-Jet operator's family. The airline is acquiring five E-Jets - three E170s and two E190s, from ECC Leasing, a wholly-owned Embraer subsidiary. Airlink will start to receive the aircraft in the first half of 2017. Airlink already operates a large fleet of ERJ aircraft - last December, the airline started to add 11 further ERJ 140 jets to its fleet. By the end of the fourth quarter of 2017, the airline will be operating 30 ERJs, comprising all three types - ERJ 135, ERJ 140 and the ERJ 145. Rodger Foster, CEO of Airlink, said, "This is the beginning of the implementation of a well planned growth and modernization strategy for Airlink that includes replacing our current fleet of Avro RJ85s over the next three years. The strategy calls for a total of 13 E-Jets, and we are in the process of sourcing the balance of the fleet requirement - an additional 8 E190s - from the market. The unique performance characteristics of the E-Jet family will enable Airlink to operate within the challenging environment of the region, including short field and "hot and high" operations, while managing capacity and providing for growth." Foster continued, "the E190's ETOPS (Extended Twin Engine Operations) capability and range presents Airlink with new market opportunities to address isolated destinations that were previously beyond our reach and in some instances that have never enjoyed the privilege of reliable scheduled air services. Embraer has proven to be an excellent partner for Airlink on our ERJ fleet, and we look forward to the continuation of superb customer support as we enter a new chapter of growth with the E-Jets." Airlink's business destinations include: several State Capital Cities such as Antananarivo, Lusaka, Harare; multiple provincial Capital cities such as Pietermaritzburg, Polokwane, Bloemfontein, Kimberley and Nelspruit; Industrial towns such as Upington, Phalaborwa, Ndola, Tete, Sishen, Nampula, Beira, Pemba and Bulawayo. 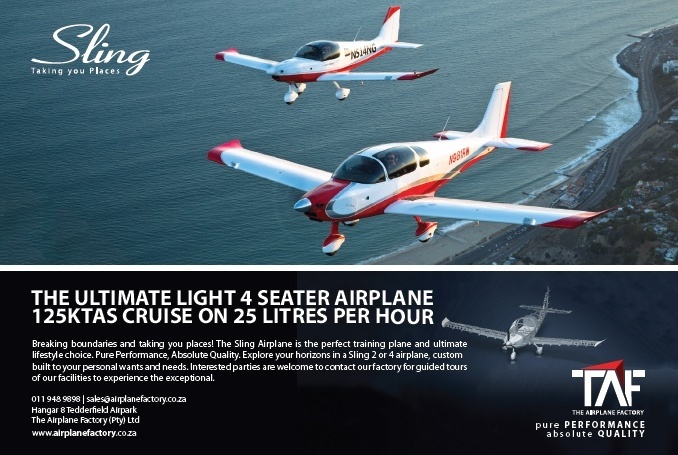 Additionally, airlink offers some exotic tourist destinations such as Cape Town, Mthatha, George, Windhoek, Okavango Delta (Maun), Chobe River (Kasane), Livingston, Skukuza, Vilanculos, and Nosy Be. Airlink's main hub is Johannesburg where our schedule is aimed at addressing the complexities of market demand and is specifically designed to satisfy point to point travel requirements whilst also optimizing interline connectivity, particularly with the arrivals and departures of our franchise partner of twenty years, South African Airways, and all other IATA member airlines. Pilatus Aircraft Ltd is announced the signing of three PC-21 fleet orders by end of December 2016, for a total of 21 PC-21s, of which 17 are for the French Air Force and two each for the Royal Jordanian Air Force and QinetiQ, a British company which operates the "Empire Test Pilots' School". Together, these orders are worth over 300 million Swiss francs and will help to ensure jobs at Stans. The French Air Force (Armée de l'air française), one of the world's most prestigious air forces, has opted for the 21st century training system: the 17 PC-21s will be used to train future military pilots who will transfer to the Alpha Jet prior to their conversion on to the Dassault Rafale, a multi-purpose 5th generation fighter aircraft. The contract signed on the 30th December 2016 by the French Air Force is with Babcock Mission Critical Services France (BMCSF), with Pilatus as a sub-contractor, in which role our PC-21 and other ground-based training material will contribute to completion of the overall contract. Under the contract concluded with QinetiQ, a British company, Pilatus will provide two PC-21s to the "Empire Test Pilots' School (ETPS)" based in Wiltshire, in the south of England. Operated by QinetiQ, ETPS functions as a training centre for flight test engineers and test pilots, and enjoys an excellent reputation worldwide. The PC-21s with their modified flight instruments will be used to train test pilots and flight test engineers for customers from the United Kingdom and elsewhere. The Royal Jordanian Air Force, having placed an initial order for the PC-9 M in August 2015, re-evaluated their requirement in early 2016 due to previously unforeseen issues with their Lead in Fighter Trainer (LIFT) platform. The procurement decision was revised following a modification of the training concept, introducing the PC-21 all-through training model - currently the most advanced training system available anywhere on the market. The contract amendment was initially for eight aircraft but with an option for additional units, if required. The option was now executed for two more PC-21s', with a total of ten PC-21s' now providing the backbone of the nation's future pilot training regime. The first deliveries will be undertaken mid-2017. 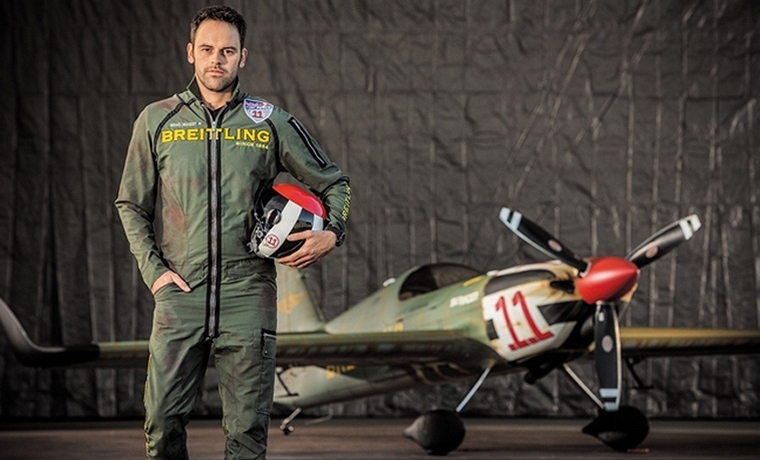 A newcomer in the Master Class category, young French pilot Mika Brageot is now flying the Breitling colors in the Red Bull Air Race at the helm of his high-performance "Skyracer" with its truly extraordinary appearance. The new generation Breitling Racing Team. After flying under the Breitling banner for eight seasons and winning the Red Bull Air Race World Championship 2014 in particular, British ace Nigel Lamb has retired from competition. He will however not be leaving an empty seat behind him, as Frenchman Mika Brageot will now be heading the Breitling Racing Team. The youngest pilot to have joined the French Aerobatics team, Mika Brageot (born 1987) swiftly climbed his way up the ranks of aeronautical competition at national, European and international levels. In 2014, he was selected for the Red Bull Air Race Challenger Cup and pulled off the amazing feat of winning it as early as his second season. In 2016, he was selected to inaugurate a new mentoring program as Nigel Lamb's "protégé" which enabled him to become acquainted with the high-speed, low-altitude competition. Trained by the best, Mika Brageot is also taking the controls of Nigel Lamb's high-performance airplane that he already had opportunities to fly throughout 2016. But to mark this new start, the MXS-R re-named "Skyracer" has been completely repainted with an original, daring, military-inspired design that creates as much of a surprise in the air as on the ground. It flaunts a style that is a blend of "vintage" and "hard-worn" aspects, with the fuselage and wings in rust color as if the plane - albeit in the vanguard of technology - required some serious restoration. An offbeat tip of the hat that is perfectly in sync with the Breitling spirit. The presence of a large brand signature running across the plane from one wing to the other, together with an XXL winged logo under the wings, also ensures optimum visibility - in every position - during these competitions that are amongst the most spectacular in the world. Daher's Airplane Business Unit announced the delivery of 54 TBM 900/TBM 930s in 2016, underscoring the success for these latest members of its very fast turboprop aircraft family - which continue to benefit from system enhancements. Two-thirds of the 2016 deliveries involved the TBM 930 version, which incorporate Garmin's G3000 flight deck with the first-ever touchscreen-controlled glass flight deck designed for light turbine aircraft. The remaining deliveries were of the TBM 900 configuration, equipped with Garmin's G1000 all-glass avionics suite. 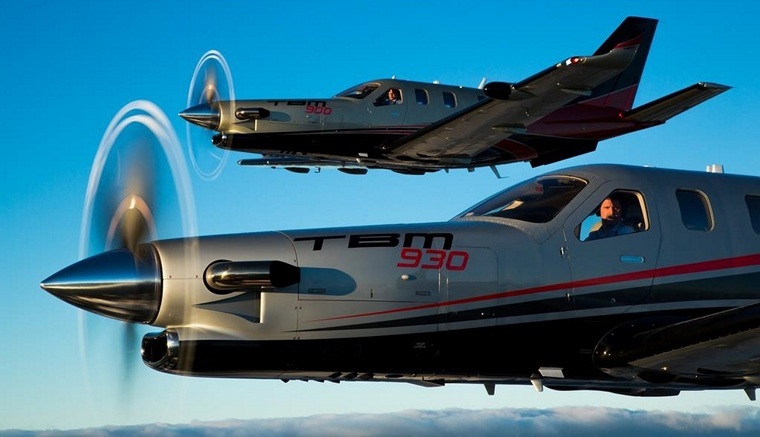 North America remained the lead market for TBM aircraft, accounting for 41 of last year's deliveries to customers in the United States and Canada. Europe was in a solid second position with nine deliveries: composed of four aircraft provided to the United Kingdom, two for France and one each in Germany, Italy, Poland and Switzerland. Latin America ranked third with two deliveries to Mexico; while Asia-Pacific counted for the remaining delivery, for a customer in Thailand. "The 2016 results confirm that customers worldwide continue to appreciate the value proposition of our TBM product line - which we extended last year with the TBM 930 version," explained Nicolas Chabbert, Senior Vice President of the Daher Airplane Business Unit. "We are backing this success with the coverage of our TBM Care Program (TCP), which remains a unique asset for the owner/operator." Chabbert revealed that Daher is now offering 2017 Model Year TBM 900s with a new avionics enhancement incorporating Garmin's G1000NXi next-generation integrated flight deck. "Garmin rolled out the G1000NXi this month as the successor to its G1000, which we introduced on our TBM 850 in 2008 and retained with the TBM 900 beginning in 2014," he added. "This upgrade includes a modernized flight display with significant performance enhancements, and brings additional capabilities such as two-way wireless cockpit connectivity." The Republic of Serbia will acquire nine H145M helicopters from Airbus. The contract for procurement, associated services and related industrial cooperation was signed in Belgrade between Airbus, the Ministry of Defence and the Ministry of Interior of the Republic of Serbia on 28 December 2016. With this procurement, the Serbian Air Force and Police will benefit from the capabilities offered by the latest generation helicopters, which will be tasked with transport, search and rescue, combat, medical evacuation, surveillance and security missions. In addition to the procurement of helicopters and the support solution including spares, tools and documentation, the contract also includes the transfer of dedicated technology for maintenance and repair tasks on the purchased helicopters. 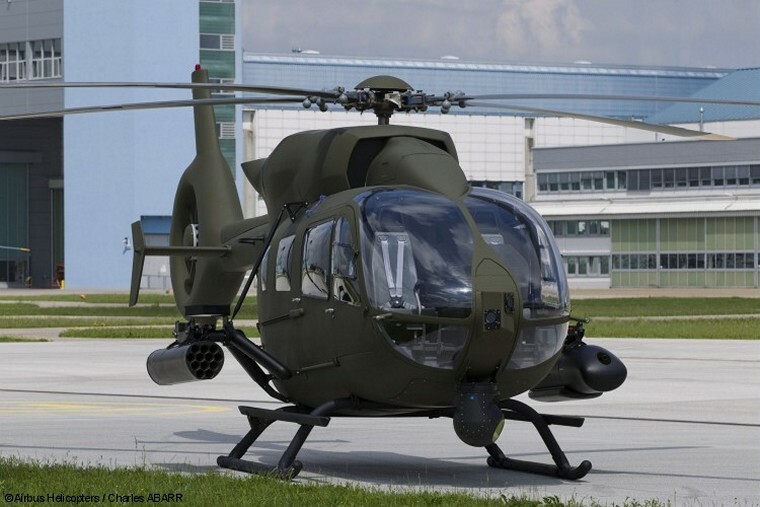 In parallel, the Serbian aeronautics plant "Moma Stanojlovic" near Belgrade will be certified as a Maintenance Centre for Airbus' Gazelle helicopters and integrated into Airbus Helicopters maintenance network. Furthermore, Serbian manufacturing plants and research institutions will receive support in order to obtain relevant qualifications and certifications enabling them to become part of the Airbus supply chain. istoric aviation achievements, legendary pilots, and groundbreaking innovations will all be featured as some of the themes of EAA AirVenture Oshkosh 2017 on July 24-30 at Wittman Regional Airport in Oshkosh, Wisconsin. The events create a weeklong series of highlights for the 65th annual EAA fly-in convention. The fly-in annually draws an attendance of more than 500,000 people and 10,000 airplanes. Monday, July 24: Opening day and a tribute to legendary aviator Bob Hoover, who died in October 2016. Tuesday, July 25: Innovations Day, featuring the latest creations and inventions in the sky, plus a 25th anniversary celebration of the EAA Young Eagles program, which has flown more than 2 million young people since 1992. Wednesday, July 26: Honouring the 75th anniversary of the famed Doolittle Raiders mission over Japan and the annual WomenVenture activities that encourage aviation participation by women of all ages. Thursday, July 27: Commemorating the 90th anniversary of Charles Lindbergh's solo flight over the Atlantic Ocean, and a look to the world's future in space. Friday, July 28: An Apollo space program reunion and EAA's annual Salute to Veterans Day. Saturday, July 29: Bomber Day, which welcomes a parade of bomber aircraft from throughout military history, plus an observance of the 8th Air Force's 75th anniversary. 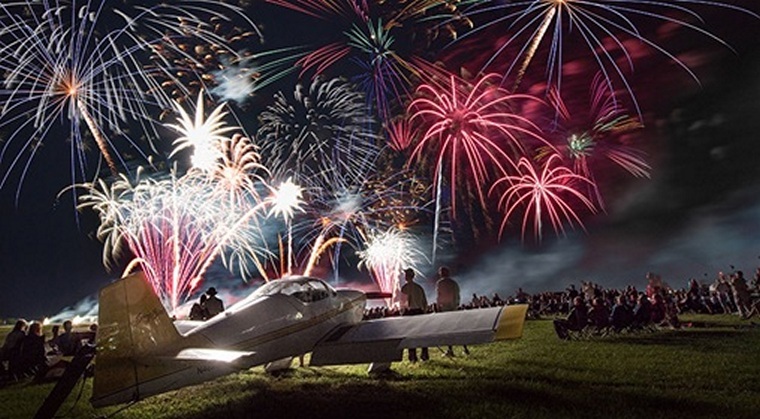 Sunday, July 30: Fox Valley Day, a thank-you to the Oshkosh region for the support of The World's Greatest Aviation Celebration held in Oshkosh since 1970, as well as what is known as the "world's greatest aircraft departure show." "EAA AirVenture Oshkosh is known as a full week of unmatched activities, unique airplanes, and unforgettable moments, but these themes create unique highlights for each one of the seven days," said Rick Larsen, EAA vice president of communities and member programs who coordinates AirVenture features and attractions. "No place brings all this together in the same way as we do at Oshkosh." USA, Alaska, Port Heiden: Two people were injured when a Piper Cherokee 6 flying between two Alaska Peninsula villages iced up and crashed. The flight originated from Dillingham and was en route to Port Heiden. The aircraft had landed in Pilot Point due to inclement weather before departing Pilot Point bound again for Port Heiden, when it crashed. The Pilot and passenger were in fair condition when taken to hospital. USA, Meridian: A US Navy T-45C Goshawk military jet used for intermediate and advanced portions of the Navy/Marine Corps pilot training program for jet carrier aviation and tactical strike missions has crashed on a training flight. The crew were able to safely eject near the airfield. Brazil, Paraty: Brazilian Supreme Court Judge Teori Zavascki died when the Beechcraft C90GT King Air he was travelling in crashed into the Atlantic amid heavy rain close to the town of Paraty about 150 miles south of Rio de Janeiro. Judge Teori Zavascki was a pivotal player in an investigation into the huge Petrobras corruption scandal and news of his death has come as a blow to the nation of such severity that the government has called for three days of national mourning. USA, Lake Erie: Businessman John Fleming, the pilot of the Cessna Citation 525 that crashed into Lake Erie last month received his certification to fly that type of aircraft just 21 days before the fatal crash. The crash killed Fleming, his wife and two teenage sons as well their neighbour and his teenage daughter. According to the National Transportation Safety Board's preliminary report Fleming was cleared for take-off and instructed to maintain an altitude of 2,000 feet. Fleming acknowledged and took off and was instructed to contact departure control but failed to. Data indicated the plane reached an altitude of approximately 2,925 feet, nearly 1,000 feet higher than what the air traffic controller had instructed. About five seconds later, the plane quickly descended. The final data point showed the plane's altitude at just 775 feet. Sir Thomas Octave Murdoch Sopwith, CBE, Hon FRAeS (18 January 1888 - 27 January 1989) was an English aviation pioneer and yachtsman. He was educated at Cottesmore School in Hove and at Seafield Park engineering college in Hill Head. Initially Sopwith was interested in motor cycles and in 1904 he took part in the 100-mile Tricar trial where he was one of four medal winners. He also tried hot air ballooning, his first ascent being in C.S. Rolls' balloon in June 1906 and later, together with his business partner, Phil Paddon, he bought his own hot air balloon from Short Brothers. His interest in aviation was further fuelled when he saw Moisant flying the first cross-Channel passenger flight. Sopwith had his first flight at Brooklands in a Farman and he was hooked and he acquired a Howard Wright Avis monoplane in which he taught himself to fly. His first attempt on 22 October 1910 wasn't really a success. He managed to take off but crashed after having travelled about 300 yards (275 m). He preserved though and soon improved and on 22 November, flying a Howard Wright 1910 Biplane, was awarded Royal Aero Club Aviation Certificate No. 31. On 18 December 1910, Sopwith got the break that he was hoping for when he won a £4000 prize for the longest flight from England to the Continent in a British-built aeroplane. His 169 miles (272 km) lasted 3 hours and 40 minutes. He used the winnings to set up the Sopwith School of Flying at Brooklands. Eighteen months later in June 1912 Sopwith and Fred Sigrist and other investors formed the Sopwith Aviation Company. 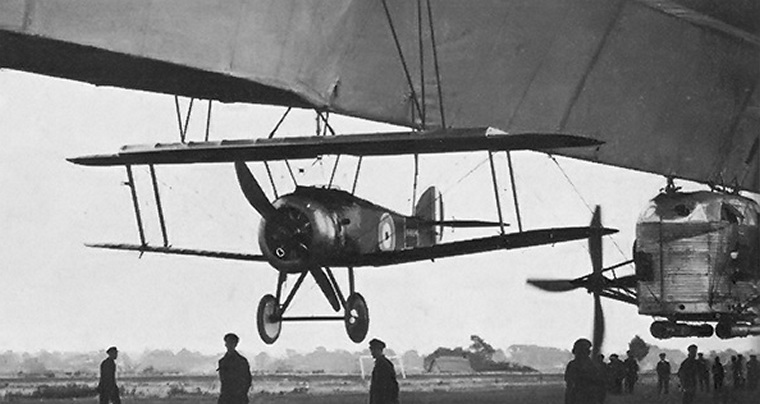 The company's first aircraft, Sopwith-Wright, was a radical redesign of the Wright Model B Military Flyer. 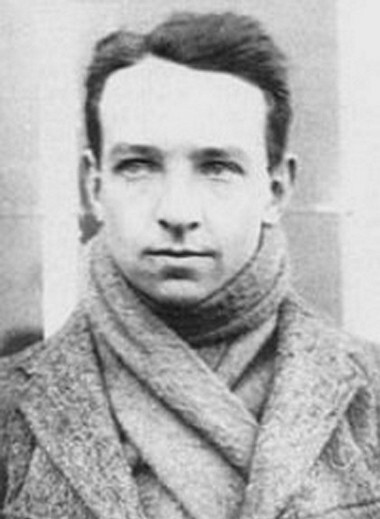 Sopwith chief engineer and test pilot, Harry Hawker won the British Michelin Endurance prize with a flight of 8h 23m in the Sopwith-Wright. World War One put the company on the map when in November 1912 the Royal Air Corps placed its first order. By wars end Sopwith had produced more than 18,000 aircraft (5,747 of which were Camels) for the allied forces. Whereas to war made Sopwith post-war punitive anti-profiteering taxes killed it. The company filed for bankruptcy and Sopwith and Sopwith left. A few years later however, he was back when he and Harry Hawker formed Hawker Aircraft with Sopwith as chairman. Sopwith was knighted in 1953. His 100th birthday was marked by a flypast of military aircraft over his home. He passed away on 27 January 1989, aged 101.